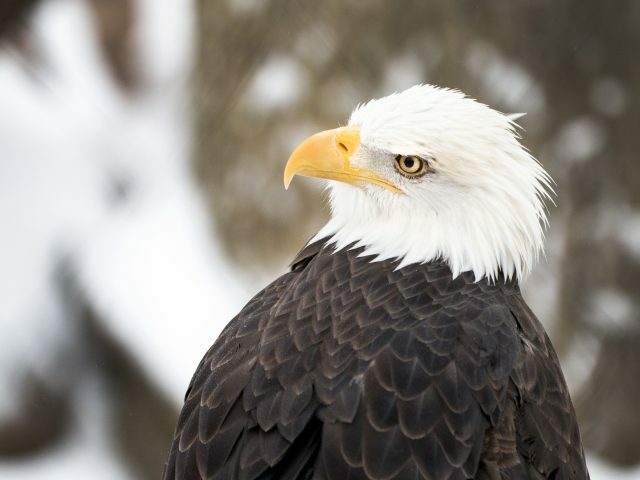 Female Bald Eagles are slightly larger than the males. 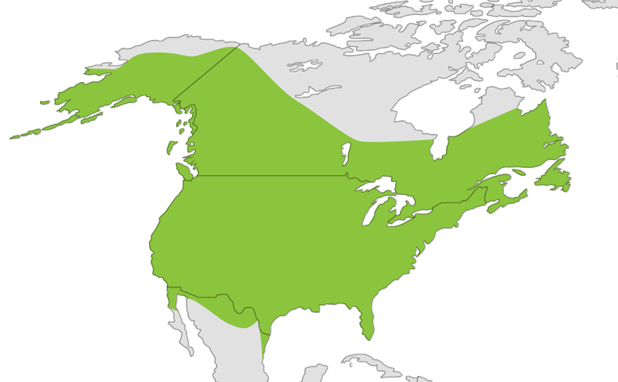 Immature eagles are a mottled brown and white, with the distinct white head and tail of the mature bird developing between 4-6 years of age. 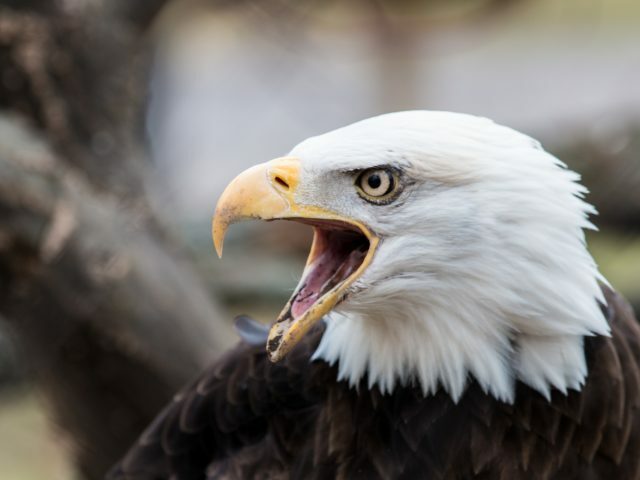 Eagles travel by soaring and gliding on thermals, which are columns of rising air, which allows them to cover great distances without flapping their wings. 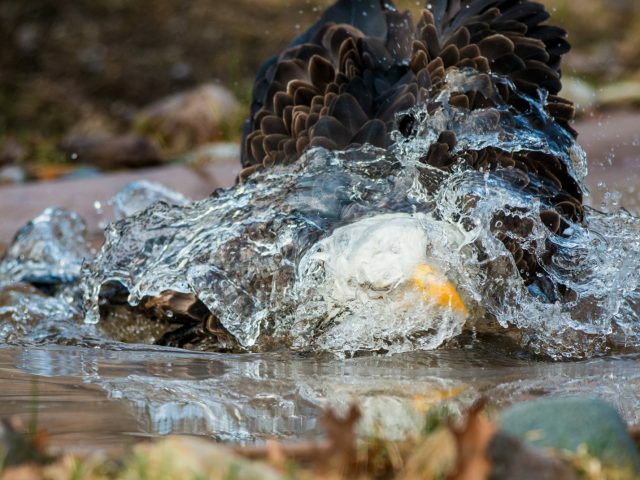 Eagles follow seasonal food supplies; as lakes and streams freeze over, they must go south to find open fresh water or head to the coast. 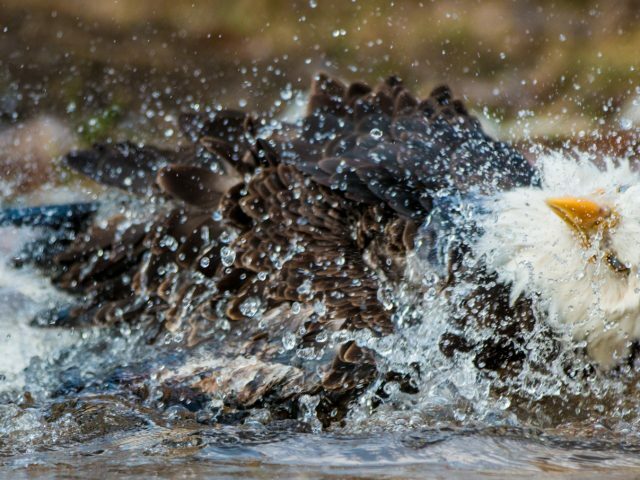 Bald eagles are aggressive hunters but will often scavenge dead prey or even steal it from another bird when the opportunity arises. When flying it can reach speeds of up to 30 mph and can dive at speeds of up to 100 mph. Diurnal animals, their keen eyesight allows them to spot fish at distances of one mile. 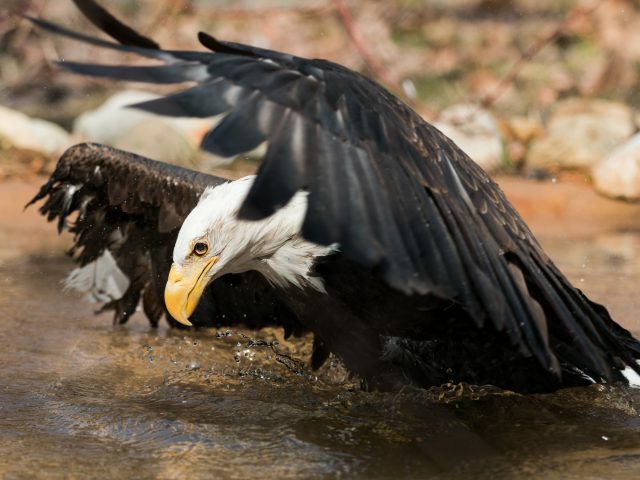 The oldest documented Bald Eagle in captivity was 47 years old! 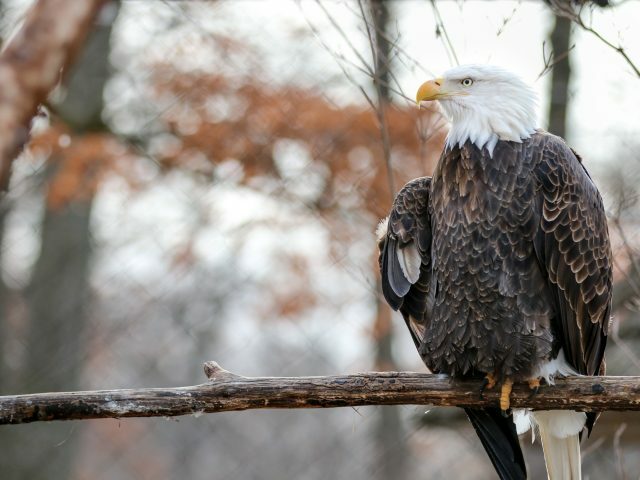 We have two male eagles here at Potter Park Zoo. Both of them are injured and cannot be released back into the wild. Hal is partially flighted and you will often see him on the higher branches in the exhibit. Luka, our other male, was found in the nest with an almost complete wing amputation. He’s been with us since he was less than a year old. 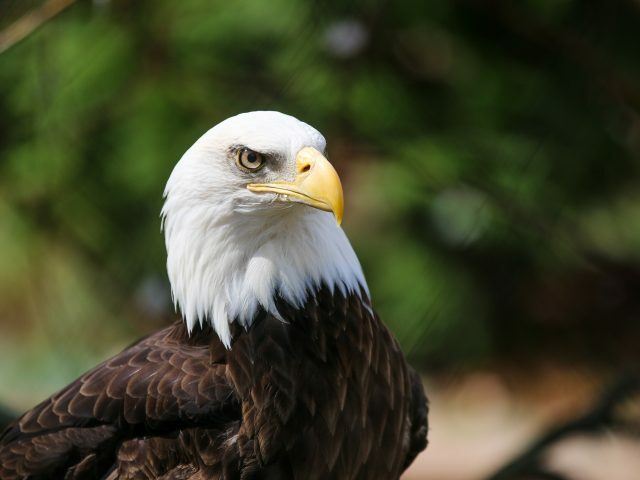 The Northern Bald Eagle weighs anywhere from 8 to 16 pounds and can have a wingspan of over 6 feet! 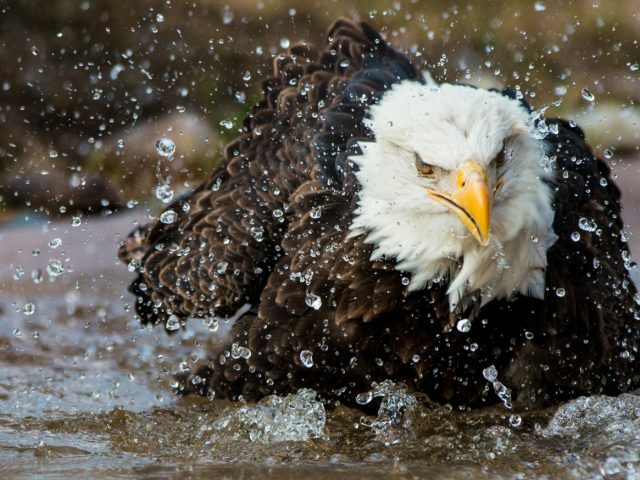 Northern Bald Eagles eat fish, frogs, small mammals, insects, birds, carrion and occasionally snakes.